After a series of deadly crashes in Hillsboro, police expand traffic division. 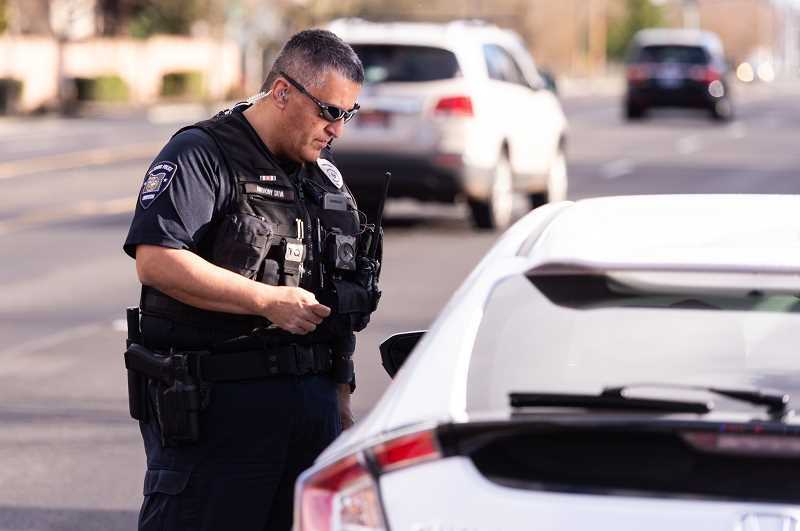 Hillsboro Police have a few new tools in their toolkit to combat traffic problems across the city, and it couldn't have come at a more important time. In January, police announced it will change the way it goes about enforcing traffic laws in the city, adding more officers to the department's traffic team and adding new police vehicles to the city's fleet. The additional officers come amid a series of fatal traffic crashes in and around Hillsboro in the past several months. In 2018, eight people died on Hillsboro roads in fatal crashes, the deadliest in recent memory. The deaths included five people killed while crossing city roads. Several of the crashes drew headlines in the Portland area, including the Dec. 11 death of Alter Wiener, a 92-year-old Holocaust survivor and well-known local speaker who was killed while crossing Northeast Century Boulevard outside of a crosswalk. So far, 2019 hasn't fared much better. A woman died last month after she was struck by a hit-and-run driver at Cornell Road and 17th Avenue. A few days later, a car traveling into Hillsboro struck a tree near Jackson Bottom wetlands just outside Hillsboro city limits, killing a passenger who was thrown from the vehicle. For years, Hillsboro has maintained a team of officers assigned exclusively to traffic, who patrol the city on motorcycles. The traffic team is assigned to all traffic-related issues, from responding to crashes, to finding drunken drivers. They stop speeders and plan traffic stings to catch cars who don't yield to pedestrians. That team has expanded this year, with two new officers, said Sgt. Eric Bunday, a spokesman with the Hillsboro Police Department. The expansion means the team will, for the first time, have officers on patrol seven days a week, compared to only five previously, Bunday said. The city expects to add two more traffic officers later this year, Bunday said. Since its inception, Bunday said, the team has used motorcycles, not patrol vehicles. Motorcycles have their advantages, Bunday said. They can easily weave through traffic when responding to a call, and can go places cars can't. But Bunday said the problems officers faced on motorcycles have begun to outweigh those advantages in recent years. When motorcycle officers make arrests, they must call in a patrol vehicle to transport the suspect to jail. When weather turns cold or rainy, officers have no protection from the elements. "Cars are more visible, especially when it's dark," Bunday said. "It's easier to spot a car than a motorcycle." In addition to the motorcycles, the city adding new sport-utility vehicles, Bunday said. Two new squad cars are on the streets now, with more planned for later this year. The vehicles come packed with forward- and rear-facing radar, to catch speeding vehicles, Bunday said, as well as equipment to help when responding to traffic crashes. Bunday said the additional officers and vehicles weren't brought on in direct response to the increase in crashes across the city, but said any additional officers on patrol will help make Hillsboro roads safer. "It all falls under road safety," Bunday said. "Whether it's working on pedestrian enforcements and ensuring they are crossing at safe locations, or making sure drivers are stopping for people so we're not experiencing some of these tragedies. It's the broken window theory. If you ignore the small stuff, it all builds into big stuff." The easiest way to avoid traffic crashes, Bunday said, is for drivers to stay alert, and to maintain a safe distance between other vehicles. "Traffic safety starts with reminding people to increase their following distance and their stopping distance," he said. "The No. 1 crashes are rear-end collisions, because people follow too closely." Correction: A pervious verison of this story mistated the department's plans for motorcycle officers. The department's traffic division will have motorcycle officers and officers in SUVs.